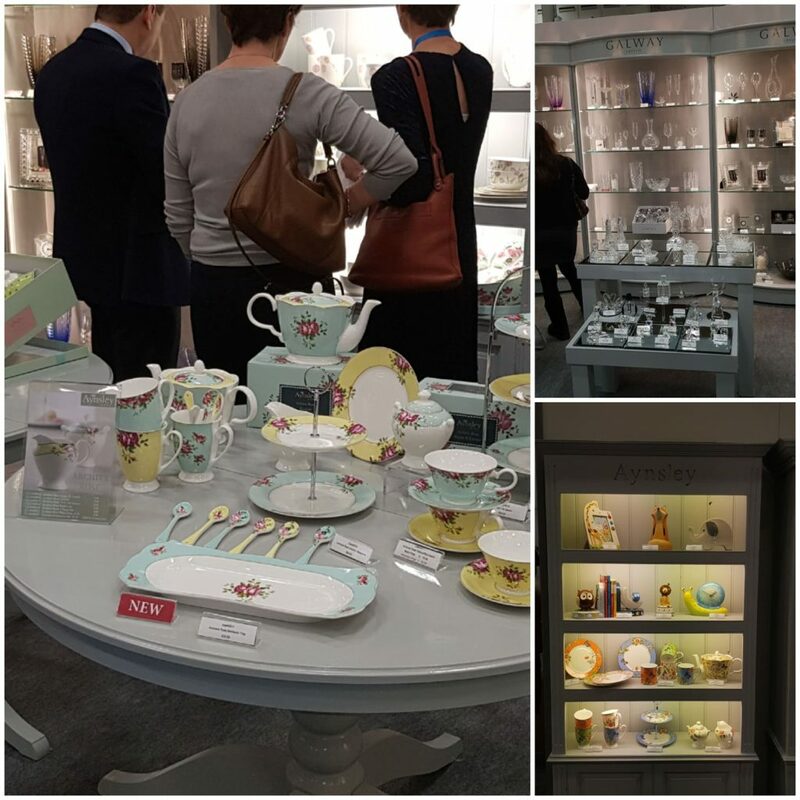 The Belleek Group showcased a number of products across the Belleek, Galway, and Aynsley brands. They have a reputation for excellent craftmanship and quality which stretches over 160 years. They have many new introductions and items selling across all brands. Our favourites included a beautiful presentation box of 6 silver mugs which was very striking. The table layout of beautiful blue and pink china with the detail of china tea-spoons to match is perfect for afternoon tea, especially now that we've to abide by lower drink driving alcohol limits. To view Belleek's collections online, click below. There is a 10% discount on your first purchase if you sign up to their email newsletter!